- The latest COT report showed speculators cutting long positions but they still remain fairly high. - The big Friday in gold was not included in the latest report and thus investors will need to wait until next week to see the resultant positions. 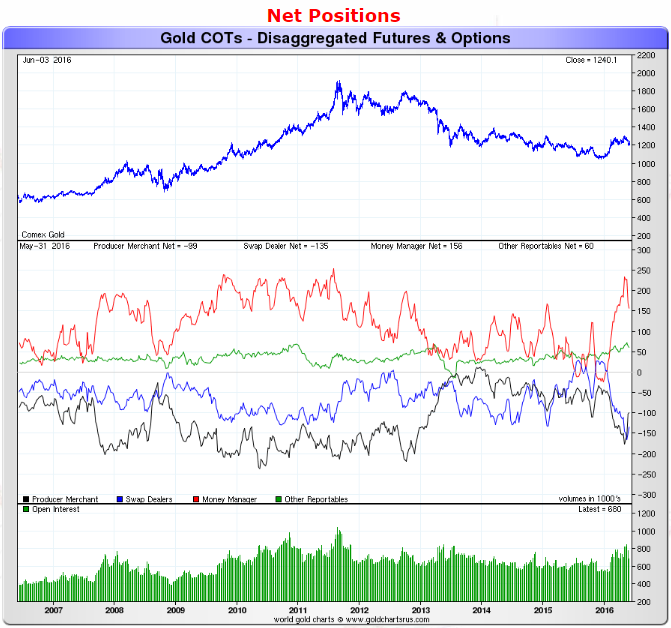 - While the COT wasn't interesting, the weak jobs report showed the power of the Fed on the gold market. Investors need to be patient because despite the weak jobs report we think the Fed is still committed to a June or July rate hike. In the latest Commitment of Traders report (COT), we saw speculative long positions continue to decline by a sizable amount, while speculative short traders slightly covered their positions. Unfortunately, the report closed on 5/31, so it does not include the major action that emerged in precious metals on Friday due to the weak jobs report. Though there is never one report or tool that can give you certainty about where prices are headed in the future, the COT report does allow the small investors a way to see what larger traders are doing and to possibly position themselves accordingly. For example, if there is a large managed money short interest in gold, that is often an indicator that a rally may be coming because the market is overly pessimistic and saturated with shorts - so you may want to take a long position. 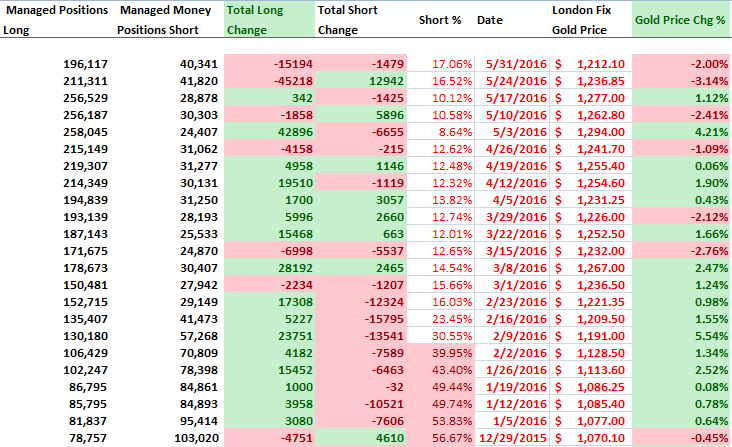 This week's report shows a large decrease in gold speculators as longs decreased their gold positions while shorts slightly decreased their own positions. As we can see above, gold bulls decreased their positions by 15,194 contracts, which continued last week's decline on the long side of gold. What was a bit surprising was the lack of short interest as usually we see shorts increase their position with gold decline, but shorts actually closed out 1,479 contracts during the week. Of course, this report was the month-end report so we tend to see declines in all positions at the end of the month, but still we expected more speculative short positions then we actually had. The red-line represents the net speculative gold positions of money managers (the biggest category of speculative trader), and as investors can see we saw the huge pullback over the past couple of sessions stall. 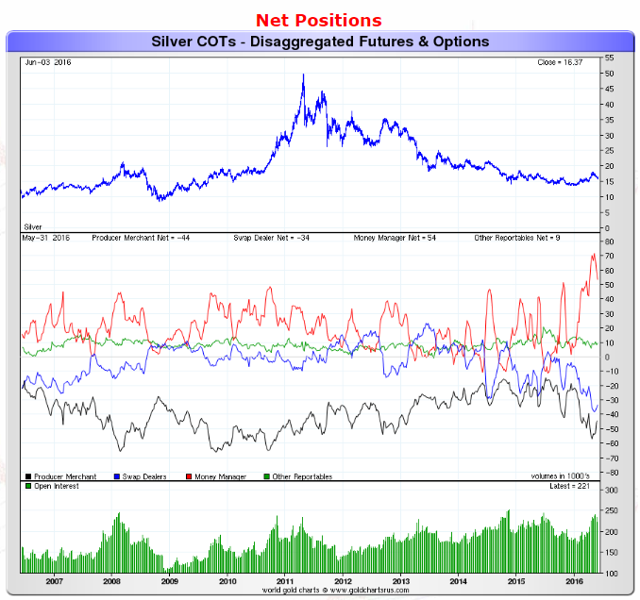 As we witnessed in gold, silver speculators cut their long positions by a large amount, while shorts declined slightly. What this suggests to us is that right now silver traders are simply mirroring the action in gold. This week's report didn't have as much excitement as last week's report as speculative traders cut back on their bullish positions but didn't feel aggressive enough to short. Unfortunately the major action of the week occurred on Friday, which was outside of this week's COT report time-frame, so we will not know how traders acted after the poor Fed job report. In our opinion, it's now the Fed's turn to drive gold markets as on Friday we saw the significant affect that weak economic data points can have on the gold price. Investors need to remember that right now (or at least before Friday's job report) the market is expecting a Fed rate hike, and thus the action in gold will be affected by that one way or another. Thus investors need to predicate their short-term gold positions on expected Fed policy. While the Friday jobs report was weak, we actually still expect the Fed to hike rates in their June or July meeting, or at the very least jawbone the markets concerning future rate hikes (i.e. a hawkish attitude). We think the Fed is at this point more worried about their credibility then the actual performance of the economy, and since they've been preparing the market for this next rate hike, they will not change that course unless we see a significant negative economic event - one or two week jobs reports doesn't qualify as that. So while it is nice to see our gold and silver positions jump because of this latest jobs miss, we are still not ready to jump back into our short-term gold trades just yet. As we stated last week, the rise in commercial long contracts is a bullish sign and thus we bought back some of our previously sold long positions, we're still very tentative in this market with speculative gold and silver positions still very high. 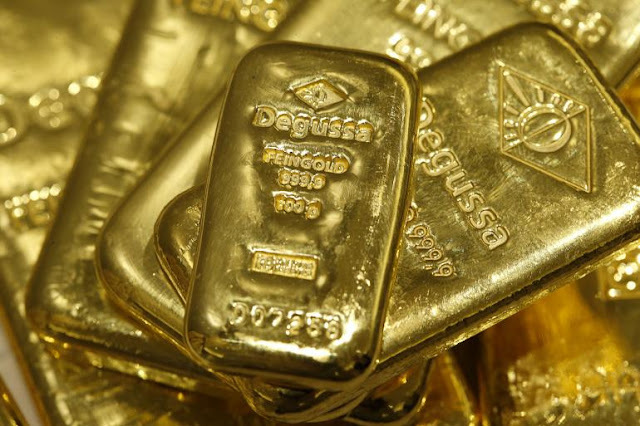 Thus we are currently waiting on a better entry point to buy some of our previously sold short-term gold positions in the ETF's and miners such as the SPDR Gold Trust ETF (NYSEARCA:GLD), iShares Silver Trust (NYSEARCA:SLV), ETFS Physical Swiss Gold Trust ETF (NYSEARCA:SGOL), and Randgold (GOLD). We have nibbled back some of our positions but we don't think this latest weak jobs report is justification yet for us to go back all-in in gold - for now we will patiently wait for a better entry position as we believe the Fed is trapped into hiking rates or losing their credibility.